They are so rare to see, and vanish almost as soon as they appear. Shooting stars are a constant source of fascination and beauty. 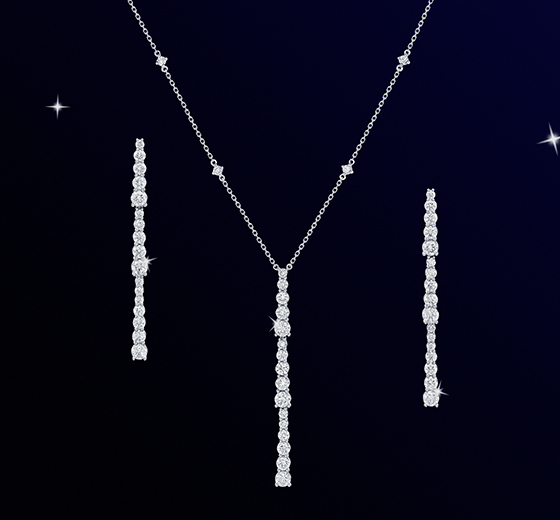 A selection of round brilliant diamonds are used in this collection to maximize fire and brilliance, creating a dazzling effect like shooting stars.